I am delighted to teach Mum & Baby Postnatal Yoga to women in and around York. I currently teach this as a weekly class and as private one-to-one yoga sessions. This can also be arrange as lessons for small groups of friends, or in other local yoga studios. As well as being a qualified pregnancy and postnatal yoga teacher I am also a trained Doula. Post Natal yoga is a wonderful practice and a great way to heal, strengthen and nurture yourself without needing a babysitter. It helps you to reconnect with your body, find some calm and stillness in this exciting but exhausting time, and also have time to really nourish and replenish yourself as a new mother - which is so very important. Tuesday Morning | 10.45am to 12.15pm | All Saints Hall, Upper Poppleton, York, YO26 6DA (view map) Plenty of easy and free parking available. This is yoga specially for mums with small babies. It's yoga for YOU, but baby comes too for some lovely time together breathing, moving and relaxing. The classes create a wonderful community atmosphere that provide emotional and physical support. They are friendly, fun and easy going classes taught in a safe and nurturing environment. The main body of the class is created around gentle stretches and postures that release the regular parental tensions; sore neck, shoulders and back. We also gently re-engage with your core and the pelvic floor to help tone these important areas. The babies take part too with some nursery rhymes and songs, and then we end the class with a quiet relaxation time to nourish tired minds and allow you extra time to bond with your baby. The yoga and relaxation will be followed by time for tea & biscuits or fresh fruit (whichever you fancy, or indeed both! ), so you have time to chat and connect with other mums too. Open to women from 6 weeks post natally up until baby is around 9 to 10 months old (or when they are so crawly off you feel you can't do the yoga anymore!!). No previous yoga experience required. We don’t mind when you last slept or showered, just come along and let us look after you. You are welcome to feed, change baby and simply do whatever you need to throughout the class. 1:1 private classes work with the needs of new mothers, focusing on your unique post pregnancy body, allowing you to keep strong ans supple, release tension from both body and mind and keeping your physically active. Also working on breathing and mindfulness techniques techniques to help you find calm and strength within. The sessions are tailored specifically to meet your needs, and to support you one-to-one at this special time. Taking a one off, or a series of private post natal yoga lessons is an investment in you at this special time. Women who are finding it difficult to fit yoga into their busy lives, as they are at a time to suit you. Women with specific problems in the post natal period such a diastasis recti (separation of stomach muscles) as classes can be tailored specifically to you. 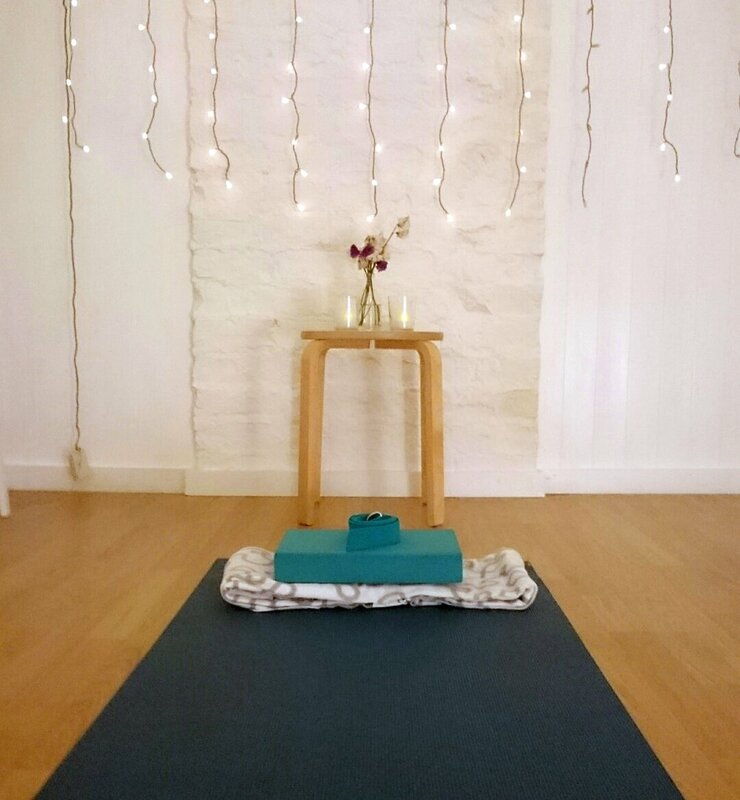 Women who are looking for some deep relaxation - we can create a delicious restorative, nurturing yoga practice full of brilliant breathing techniques and a 'super savasana' relaxations, with a deeply relaxing yoga nidra too. Gorgeous, a real treat! Where? I can come to you with everything you might need. Or we can use a local yoga studio. I’ll bring all the yoga mats, blocks, bolsters, blankets and other yoga props for you to use in your private yoga sessions - so there's no need to bring anything with you. If you prefer I can also travel to your home to work with you, bringing mats, props and everything you may need with me, to help with nap times etc. Cost: Private yoga is £45 per 1 hour session. A block of five 1 hour classes is £200 (saving £25 on individual session prices). Travel to your home or place of work will be at an additional cost, depending on location. Susan also works with women who have a condition post natally called Diastasis Recti, or separation of the abdominal muscles. Adapting your yoga practice particularly for this condition, to help strengthen and close and importantly not making it any worse (which many yoga postures can do). Do email me for more information about this condition and how I can help you.